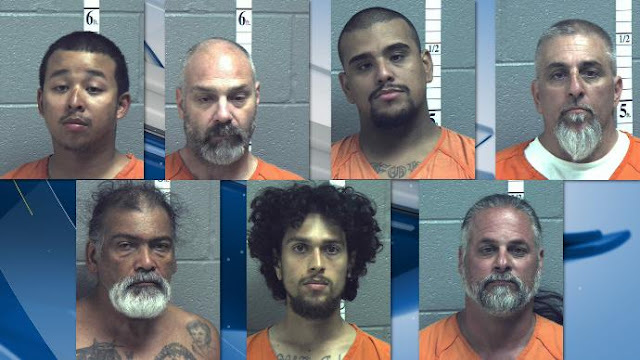 Seven Hells Angels were arrested for a fight that led to a shooting and assault in Virginia. At 3 a.m. deputies responded to a shooting at the Hometown Inn near Greenville. 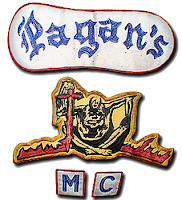 They found one member of the Pagan MC who had been shot and another who had been assaulted. 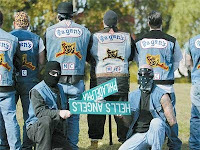 Police said the Hells Angels initiated the fight when they saw the Pagans arrive at the motel to check in. Five HA are being charged with malicious wounding and use of a firearm in commission of a felony. The two others were charged with possession of methamphetamine and possession of a firearm while in possession of narcotics. Charged are Andy Thongthawath, 27, Richard E. West, 52, Nathaniel A. Villaman, 27, Joseph Anthony Paturzo, 52, Buster Domingo 69, Anthony Vincent Milan, 28, and Dominick J. Eadicicco, 48.